LakotaRide 2019 Early Bird Rider Tickets are $500 and Supporter Tickets are $300 until June 13th, After that Rider Tickets will be $600 and Supporter Tickets will be $350. 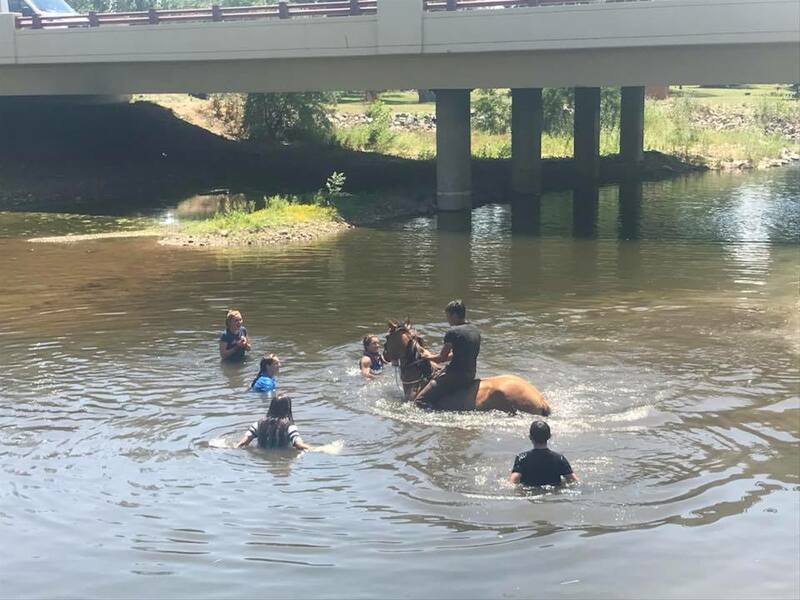 The purpose of the Ride, which is at the core of the Tipi Raisers' mission, is to bring Lakota and non-Lakota People together; to work, play, struggle, talk, and of course, Ride! It is through experiences like this, and through the other activities that the Tipi Raisers facilitates, that we can begin to understand, heal and ultimately reconcile the trauma of America's complicated history with the indigenous people of this land.​ The LakotaRide also serves as an important fundraiser to support our year-round, humanitarian projects on the reservation as well as Native culture presentations off the reservation and our Gen7 Youth Leadership program. Riders and Supporters are asked to launch their own Peer to Peer Fundraiser but anyone interested can do so as well: HERE! Registrants and volunteers (whether riding or not) can join the entirety of the Ride; camping, supporting the riders, caring for the horses, etc. Riders bringing their own horses are welcome to ride every open section. The Ride is now divided between open sections and invite-only sections. Open sections are listed HERE. Riders using Tipi Raiser's horses can choose four open sections along the route (average section length is five to seven miles)- but are welcome to stay on as a supporter through the entire ride. Open section priorities will be given to registrants in the order that their registrations are received. The Tipi Raisers provides horses, tack, support vehicles and Lakota guides throughout the Ride. Those with their own horses will need to provide tack, food, current coggins, health certificate and horse trailer- as well as a driver. 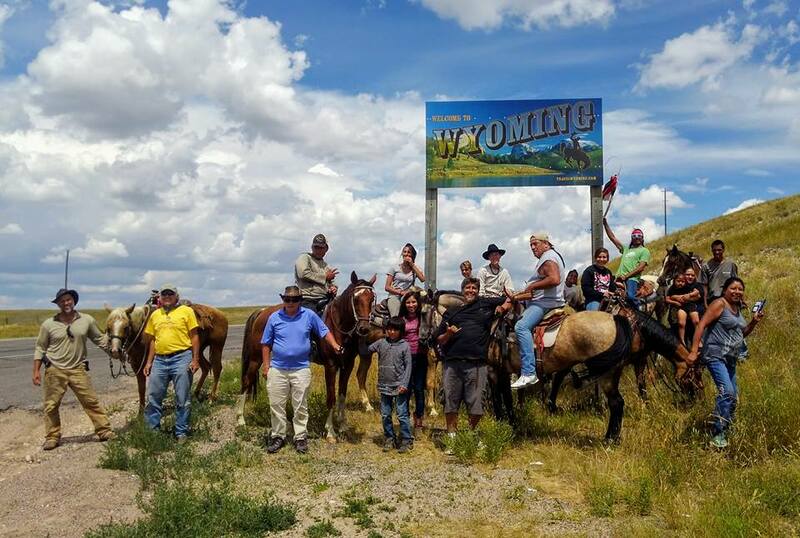 Lakota tribal members living on Pine Ridge with their own horses ride for free- Tipi Raisers will help with transportation and expenses. Riders not living on Pine Ridge pay $500. Non-riding support people - not living on Pine Ridge- pay $300. ​Not riding but interested in supporting the ride? Inquire with us to sponsor a rider, a section of the ride or the whole ride! Winterizing and improving homes throughout the reservation. Providing firewood, clothing, gasoline, mattresses, food and necessary supplies throughout the year to families in need on Pine Ridge. Providing scholarships for Native and non-Native youth to visit each other's communities and participate in Gen7 Youth throughout the year. Host cultural events sharing indigenous wisdom, ​art, drumming, dancing and the Lakota perspective on historical and current events. Dates and locations listed are subject to change.